Time of service discount ﻿(This rate is only offered if you pay directly at the time of service and I will not be providing the service of billing your insurance company). Cash and credit/debit only, insurance will not cover facial procedures. Please bring your insurance card with you to your first appointment. If Insurance billing, Co-pay is due at time of service. I will bill you after I receive notification from your insurance company for the amount, if any, that they determine is your responsibility. In most cases this is a Co-insurance, amount applied to your deductible, a claims denial of coverage, or maxed out benefits. You will also receive an Explanation of Benefits from your insurance company stating the amount you are responsible for. 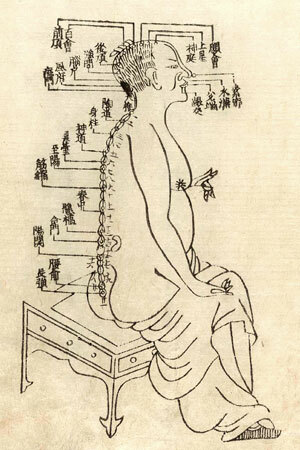 • Is acupuncture covered under my policy? • How many sessions are covered per year? Is this combined with other therapies such as massage or chiropractic? • Is there a dollar limit for acupuncture? • Do I have a co-pay or co-insurance? Do I have a deductible? If so, how much is the co-pay, co-insurance, and/or the deductible? • Do I need a prescription? • Does my plan cover treatment for my specific health complaint? • Is Michelle Wilson a preferred provider with my plan (﻿in-network﻿)? If not, do I have out-of-network coverage and what percentage is covered? Do I have a deductible for out-of-network coverage? ﻿Important:﻿ The information your insurance company gives you or me regarding your benefits is ﻿﻿not a guarantee of payment﻿. Actual benefits are determined once your provider sends the claims to your insurance company in writing. ﻿You are responsible for all fees﻿ if for some reason your insurance company does not pay for your treatment. ﻿Payment Method: ﻿I accept payment by cash, check, credit/debit cards. There is a $25.00 fee for bounced checks. A late fee will be applied to bills that are 30 days overdue, and these will continue to accrue until the bill has been paid in full. Payment plans wil be considered in order to avoid these fees. Read ﻿Notice of Privacy Practices﻿ so that you may be informed of your rights as a patient.